UJA Federation of Greater Toronto is pleased to announce a generous gift of $2 million made by the Kimel Family towards the Tomorrow Campaign. This outstanding contribution will greatly assist in the development of Sherman Campus, through the naming of the Elkie Adler Indoor Aquatic Centre, named in memory of their beloved sister, Elkie Adler. “Making this gift to the Tomorrow Campaign is a beautiful way for us to honour our sister Elkie” said Warren Kimel. 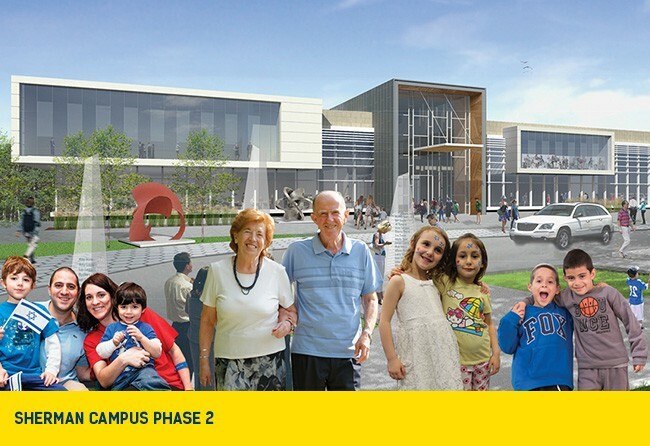 Now in its second phase, Sherman Campus will soon be expanded and transformed into a complete community campus with a soon-to-be-built 100,000 sq. ft. Sheff Family Building that will service the Prosserman JCC, along with other cultural and educational amenities. The Elkie Adler Indoor Aquatic Centre, located in the new building, will be a dynamic destination for the community to experience fun, fitness and wellness.